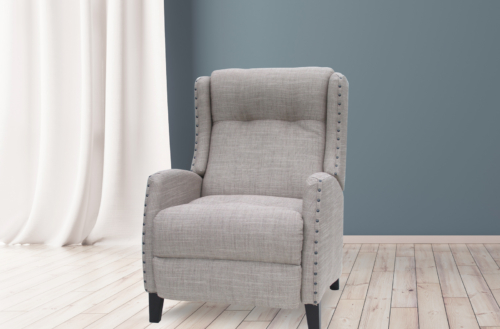 The Milford chair follows a Kovacs tradition of providing maximum comfort in a relatively compact width recliner chair. 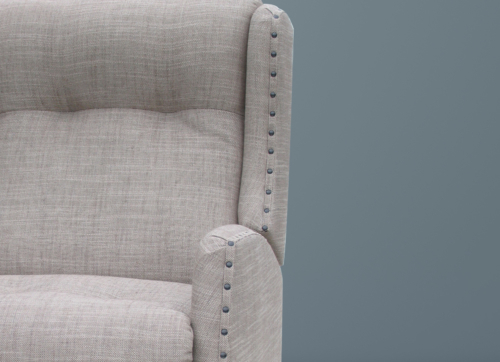 While modern in appearance the studded winged sides and arms add a classical touch. 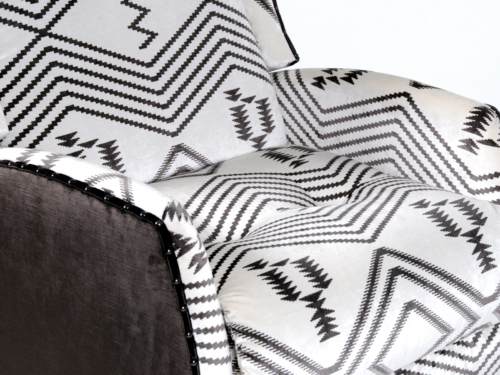 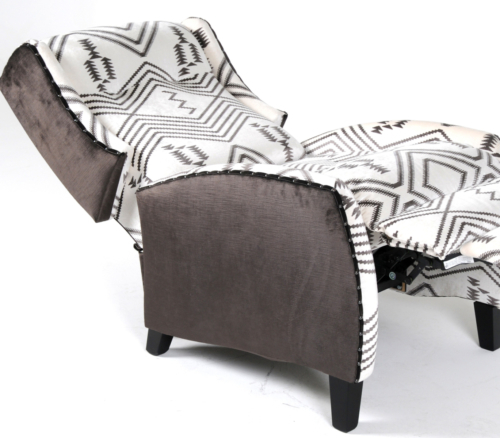 The Milford can be ordered in either fabric or leather, and its styling leans toward imaginative use of fabric, texture and pattern. 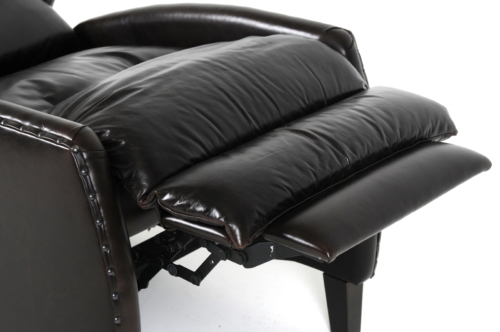 It can be ordered as a fixed chair or as a recliner. 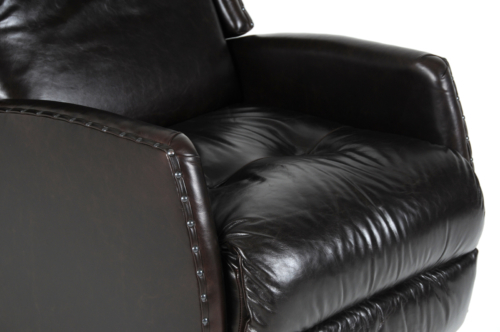 When ordered as a recliner there are no handles, knobs or buttons to activate. 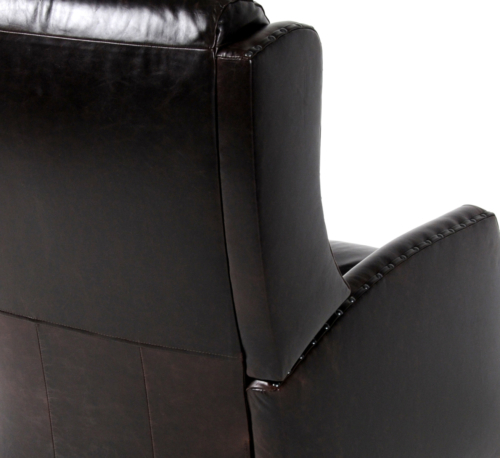 Simply sit and push the back to recline – nothing could be easier.